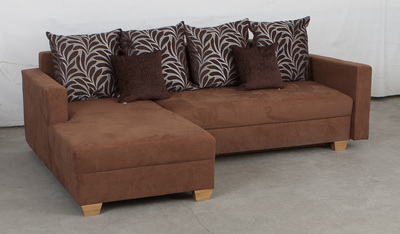 ​The Barcelona Corner Sofa Bed is a cleverly designed and great looking piece of furniture. This sofa comes with screws, nuts and instructions for self-assembling. 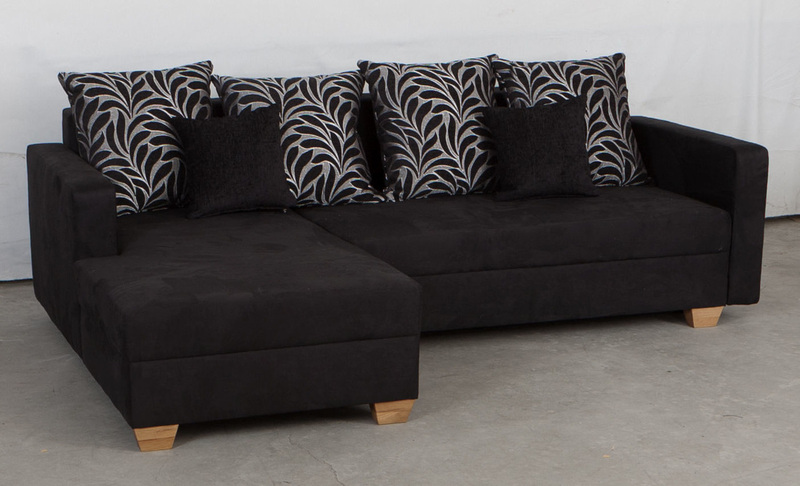 It is beautifully upholstered in a soft microfibre material. Please note that the shade of the sofa maybe slightly different then the shade on the picture. Sofa comes with 4 big pillows and two small pillows. As an added bonus it also comes with storage compartments underneath which is great for extra cushions, magazines and bed linen.